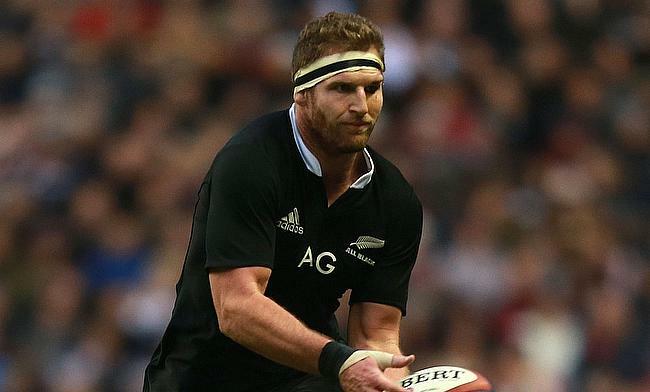 New Zealand skipper Kieran Read has announced that he will retire from international rugby at the end of the 2019 World Cup in Japan. Read has been one of the mainstay in New Zealand's setback with 118 caps to his name but had a tough 2018 after undergoing a back surgery. The 33-year-old missed the summer series against France and managed to make a comeback in the Rugby Championship. His comeback did not impress the critics with former England international Ugo Monye even stating that Read is unimpressive ever since he returned from the surgery. "Kieran Read's a legend of the game, but he's nowhere near playing at a level which we've got used to - he doesn't even come into the equation for me," he said. Nevertheless, Read expressed confidence on his abilities after a tough year. "Getting over back surgery was probably the biggest thing for myself," he said. "It took a lot of time and effort. It was a big year in a lot of ways but that was probably the main thing. "It's really good. It's been 12 months since the surgery and it probably wasn't until basically the end of the year where I started feeling somewhat decent physically. "So it bodes well to head into this offseason and pre-season feeling in really good shape. "Where I was at this point last year, the pain I was in, it [surgery] was needed. It's been a fairly fast recovery in some respects. I've worked pretty hard at it and I'm in good shape now." The New Zealand skipper also stated that he will draw curtains on his international career following the showpiece event in Japan next year following which he would want to experience a short stint overseas. "As a family it will be a good opportunity," he told Newstalk ZB on Wednesday. "My wife and kids have made a lot of sacrifices over the years I've been playing. It's probably the hardest thing. You appreciate that and know how much it takes out of them. Spending more time with them would be cool."